'The Big Sort': Red and Blue Divide Neighbors, Too Look around your neighborhood. Chances are the people you live near are an awful lot like you — the same politics, same values, same way of life. The consequences of all this, argues author Bill Bishop, are dire. Do the people in your community share your views? Look around your neighborhood. Chances are the people you live near are an awful lot like you — the same politics, same values, same way of life. What's wrong with this picture? 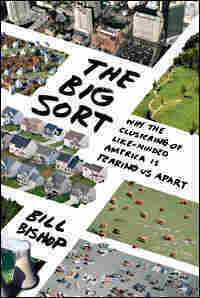 Bill Bishop, author of "The Big Sort: Why the Clustering of Like-Minded America Is Tearing Us Apart," talks about how the red and blue states that divide our country also divide our country's neighborhoods, and why that's ruining the nation. My wife and I made the move to Austin, Texas, in the way of middle-class American migrants. We rented a Ford Taurus at the airport, bought an Austin map at a U-Tote-Um quick stop, and toured the city in search of a place to live. We didn't have a list of necessities — granite countertops or schools with killer SATs — as much as we had a mental image of the place we belonged. 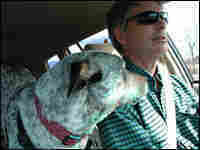 We drove and when a place felt comfortable, seemed right, my wife, the daughter of one of Kentucky's last New Deal liberals, drew a smiley face on the map. We didn't intend to move into a community filled with Democrats, but that's what we did — effortlessly and without a trace of understanding about what we were doing. We bought a house on one of those smiley-face streets, a shady neighborhood of dog walkers, Jane Jacobs-approved front porches, bright paint, bowling-ball yard art, and YOU KEEP BELIEVING; WE'LL KEEP EVOLVING bumper stickers. In 2000, George W. Bush, then the governor of Texas, took 60 percent of the state's vote. But in our patch of Austin, Bush came in third, behind both Al Gore and Ralph Nader. Four years later, eight out of ten of our neighbors voted for John Kerry. Our neighborhood is one of the friendliest I've encountered. It is in some ways more like the rural Texas town where we lived for a time, publishing the weekly newspaper, than a community on the edge of the central city. We have potlucks in the park and movies for the kids. A woman down the street organizes outdoor concerts to raise money so the toddlers' pool in the neighborhood park stays wet and open into the torrid Texas September. We take just as much pride in our politics. Soon after the invasion of Iraq, our neighbors held a meeting and decided to print antiwar T-shirts and bumper stickers. The agreed-upon slogan promoted both place and policy. It said simply, '78704PEACE.' In Austin, Zip Codes have political meaning. I live in a place where any event holds the potential for political expression, even a neighborhood house fire. On a summer afternoon, I happened on a slew of red trucks and hoses wet and slithering across a street. Firefighters were dousing the spooky Victorian on the corner. The commotion had drawn out the neighbors and a television news crew. The owners of the smoldering house had been rehabbing the structure for years, and it was beginning to shape up. The house was big and yellow, but I remembered it mostly because it sported a large peace sign dangling from the peak of a third-story window. The sign was five feet across and wrapped with Christmas twinkle lights. I commiserated with a woman walking two dogs. She had noticed the peace sign, too. Holding the leashes in one hand, she motioned toward the TV cameraman. "I hope he gets the peace sign in the picture," she said. "After all, it's Travis Heights." Far from avoiding politics as a topic of discussion in neighborly talks, Travis Heights encourages it. That the woman could speak comfortably to me about politics evinces the solidarity of the people who live here. It was simply understood that we agreed about the peace sign — and about all the issues and ways of life the peace sign represented. Our like-mindedness was a comfort, a shortcut to intimacy. It can also be a shortcut to conflict. We have a neighborhood Internet listserver in South Austin that is often a source of good information about painters, plumbers, and lost animals. The e-discussion can also become a parody of liberal preciousness. One participant wrote to say that he planned to live-trap rats that had invaded his garage. The vermin-friendly homeowner wanted to know where it might be safe to "relocate" the rodents. The one Republican on the newsgroup, Stephen Mason, dared to say what most of us probably thought, volunteering that the man could release the varmints near Mason's rat terrier, Hotard, who would happily "relocate them to rat heaven." Our lone conservative correspondent, however, knew better than to make his comments overtly political. Mason, an intellectual property attorney and Texas A&M graduate, had tried to start a genuine political discussion on the list the year before. He wasn't about to try again. It was the spring of 2004, so things were already tense when Mason called the newsgroup's attention to the election for the board of the local community college. Mason gave the names of both candidates, listed their websites, and then, after a warning that what followed was "possibly inappropriate electioneering," recommended one of the candidates. The man Mason backed was deeply conservative, a member of the Federalist Society, a former officer of the Young Conservatives of Texas, and an opponent of gay marriage and adoption. Within the day, the newsgroup reacted in a way that wasn't as much ideological as biological. Mason wasn't just someone to be argued against. For the protection of the group, he needed to be isolated, sealed off, and expelled. First response: "Okay, as a member of this list, I'd really like to see this political discussion disappear. As a lesbian, obviously I'm not going to vote for anybody who doesn't believe I shouldn't be allowed to adopt kids ... As a resident of Travis Heights and a member of this neighborhood list, I'm not interested in having this kind of discussion here. I have to defend myself against my government pretty much daily these days, and one place I don't want to have to do it is on this list." And then: "A--men. Stephen, you're in the minority politically on this list and in this neighborhood, and while your opinions are your own to have, this list isn't the place for them ... T--Hts is my home, and this list an extension of that ... I hope we can all agree to prevent it from becoming a battleground." Mason responded: "[The] ideological balkanization of America is dead--on true ... Living here, especially as an "out" Republican, is a great deal of fun, and I learn a great deal from it. The most valuable thing that I learn daily is the capacity to respect people with whom I have disagreements. I hope not to be exiled to some place where the vast majority agrees with me." Then, alas, enough with the calls for reasoned discussion: "I'm really not interested [in] being surprised by right-wing e-mail in my in box, no matter what its guise. It makes me feel bad, and I don't like it." There were dissenting views. "I really don't want political or other uncomfortable subjects segregated into some kind of opinion ghetto where only proselytizing activists and ideologues would venture," wrote one South Austinite. Another: "I'm going to stick my neck out here. I DO want to have political discussion ... It is a tragedy that this country is becoming more and more polarized. Neighborhoods are becoming more and more homogeneous, either Democrat or Republican. Talk about segregation!" But Mason got the picture: he was a Republican Crusoe on this Democratic island, and so he withdrew, promising never to talk politics again with his neighbors. "Look, I know a lot about homogeneous political communities," Mason said one afternoon at a South Austin coffeehouse. He'd grown up in the Republican suburbs of Houston and attended the conservative hive of Texas A&M University. He was pugnacious about his politics, ending every e-mail message with a quote from Teddy Roosevelt: "Aggressive fighting for the right is the greatest sport in the world." Mason was also engaged to marry a feminist filmmaker, an experience that taught him that "nearly everything is political." But nothing had prepared him for the unsettling experience of being a political minority in the community where he lived — for being a minority in the age of political segregation. "I ran off that listserve when the rhetoric became so shrill that I didn't have the taste for saying about anyone the things you would need to say to win that argument," Mason continued. "I'm not going to use that listserve for politics again, and there is some shame in that." The experience had changed the way he saw himself in the neighborhood. Knowing he was a minority, he wondered what people thought of him as he walked Hotard. "In some way after that exchange, I think I'm viewed with suspicion by my neighbors because of an act of political expression, which is a little on the bizarre side," he said. "I'm just a guy who has a dog and works a job." The "red" and "blue" states shown on television maps during the past several national elections depict a country in a static standoff. On this scale, politics is a game of Risk. What will it take for Republicans to capture Michigan? For Democrats to regain Ohio? But people don't live in states. They live in communities. And those communities are not close to being in equipoise, even within solidly blue or red states. They are, most of them, becoming even more Democratic or Republican. As Americans have moved over the past three decades, they have clustered in communities of sameness, among people with similar ways of life, beliefs, and, in the end, politics. Little, if any, of this political migration was by design, a conscious effort by people to live among like-voting neighbors. When my wife and I moved to Austin, we didn't go hunting for the most Democratic neighborhood in town. But the result was the same: moving to Travis Heights, we took a side and fell into a stark geographic pattern of political belief, one that has grown more distinct in presidential elections since 1976. Over the past thirty years, the United States has been sorting itself, sifting at the most microscopic levels of society, as people have packed children, CDs, and the family hound and moved. Between 4 and 5 percent of the population moves each year from one county to another — 100 million Americans in the past decade. They are moving to take jobs, to be close to family, or to follow the sun. When they look for a place to live, they run through a checklist of amenities: Is there the right kind of church nearby? The right kind of coffee shop? How close is the neighborhood to the center of the city? What are the rents? Is the place safe? and they are having a profound effect on the nation's public life. It wasn't just my neighborhood that had tipped to become politically monogamous. In 1976, less than a quarter of Americans lived in places where the presidential election was a landslide. By 2004, nearly half of all voters lived in landslide counties. In 2004, the press was buzzing about polarization, the inability of the leaders of the two political parties to find even a patch of common ground. All the measures of political ideology showed widening divisions between Democratic and Republican political leaders, and unbridled partisanship in national politics became a topic for Sunday news shows and newspaper columnists. Meanwhile, unnoticed, people had been reshaping the way they lived. Americans were forming tribes, not only in their neighborhoods but also in churches and volunteer groups. That's not the way people would describe what they were doing, but in every corner of society, people were creating new, more homogeneous relations. Churches were filled with people who looked alike and, more important, thought alike. So were clubs, civic organizations, and volunteer groups. Social psychologists had studied like-minded groups and could predict how people living and worshiping in homogeneous groups would react: as people heard their beliefs reflected and amplified, they would become more extreme in their thinking. What had happened over three decades wasn't a simple increase in political partisanship, but a more fundamental kind of self-perpetuating, self-reinforcing social division. The like-minded neighborhood supported the like-minded church, and both confirmed the image and beliefs of the tribe that lived and worshiped there. Americans were busy creating social resonators, and the hum that filled the air was the reverberated and amplified sound of their own voices and beliefs. This was not an area of concern for most of those who wrote about politics. Migration wasn't thought to be much of a factor in politics. People moved, sure, and some states gained votes while others lost. But the effects were thought to be essentially a wash. Frankly, I only stumbled upon this trend in American politics — and that was only after I stumbled upon Robert Cushing. I had previously worked for a small paper in the coalfields of Eastern Kentucky, and my wife and I had owned a weekly newspaper in rural Texas. From my experience living in small towns, I had become interested in why some communities develop vibrant economies while others stagnate, and I had written about this question as a newspaper columnist in Kentucky and then a reporter in Austin. Cushing was a sociologist and statistician who had recently retired from the University of Texas. My parents were friends with a cousin of Bob's wife, Frances. Through that tenuous connection, we met for breakfast one morning. I remember telling Bob I had some data about Austin's economy but didn't know quite what to do with it. "I do," Bob responded. That was typical Bob, a guy who had paid his way through graduate school by working summers fighting forest fires as a Smokejumper in Montana. He did know what to do with the pile of data I had collected, and we began collaborating on projects for the Austin American-Statesman. We would decide on a question we wanted to answer, and Bob would begin clicking, programming, and calculating. Often in the middle of the night, a new set of charts and Excel files would arrive in my e--mail in box, and I'd see that Bob had made another remarkable discovery. Joe Cortright in Portland, Oregon; and Terry Nichols Clark at the University of Chicago. What we found was that these tech-rich and innovative cities were benefiting from a special kind of migration. There have always been patterns to migration and development. Southern blacks moved to Chicago in the 1950s. White Appalachians took the "hillbilly highway" north to booming Cleveland and Detroit after World War II. These were migrations in response to economic hardship and opportunity. The movements we saw from 1970 to 2000 were different. The flows were selective, and they varied by personal characteristics, not broad demographic descriptions. People were sorting, and the movements themselves were changing economies. Young people left old industrial towns and rural America for urban life, moving to a small group of cities. People earning higher incomes went to Austin or San Francisco. Those with lower incomes moved out of those towns. Las Vegas attracted people with less education than those who went to Seattle. Portland slurped up people with college degrees. Blacks went to Atlanta and Washington, D.C.; whites went to Austin and Orlando. Everyone in our research group had a particular specialty. Demographer Gary Gates discovered that gay couples were congregating in particular cities — specific zip codes, in fact. Rich Florida and Kevin Stolarick calculated the correlation between particular types of workers — what would become Florida's "creative class" of artists, engineers, software writers, and teachers — and economic growth.3 Joe Cortright was interested in the migration of the young. Terry Clark discovered the amenities that attracted high--wage workers. Bob Cushing and I used patents to measure economic innovation in cities. We tracked people and their incomes from county to county using Internal Revenue Service (IRS) data. We used polling data from an advertising firm to find a relationship between culture and economic growth, and we tracked various demographic groups as they moved into high--tech cities such as Austin. Everyone in our group found movements that were dizzying and profound. We could see that distinct migratory streams were reshaping regional economies. Somebody in our little ad hoc research outfit said that the zigzagging of people and money looked like "the big sort," and the name stuck. Initially, Cushing and I were so interested in the economic effects of the Big Sort that we paid no attention to whether the phenomenon meant anything to politics. That was an oversight. After all, the movements we were tracking were enormous. More people were moving from one county to another in a single year than new population was added nationally in four years. It was clear the Big Sort wasn't random. The sorting we saw in the last decades of the twentieth century created prosperity in some places and decimated economies in others. It just made sense that this internal migration had changed the nation's politics, too. Then I received one of those magnificent midnight e-mails from Cushing. He had access to presidential voting results for each U.S. county since 1948, collected by the web--based election data impresario David Leip. The presidential election is the only national office common to all voters. We decided to use presidential election results — instead of either voter registration or state elections — as the common measurement among the nation's more than 3,100 counties to avoid the effects of different candidates or changing voting districts. To even out the comparisons over time, we excluded third--party candidates.4 Demographers have several ways to measure segregation, and Cushing tested them all. The formulas tell, for example, whether the proportion of blacks and whites living in Brooklyn is similar to the proportion of the races in New York City as a whole. Substitute Republican and Democrat for black and white, and these formulas provide a measure of political segregation. We ran the numbers for all the counties in the United States, and a pattern emerged.5 From 1948 to 1976, the vote jumped around, but in the close elections, Republicans and Democrats became more evenly mixed, especially in the 1976 contest. After 1976, the trend was for Republicans and Democrats to grow more geographically segregated. The simplest way to describe this political big sort was to look across time at the proportion of voters who lived in landslide counties — counties where one party won by 20 percentage points or more. There were elections when the entire country seemed to side with one party or the other. In the electoral blowouts of 1964, 1972, and 1984, close to six out of ten voters lived in landslide counties. Landslide elections produced a lot of landslide communities. Competitive elections provided a more accurate picture of where Republicans and Democrats were living. The 1976 election between President Gerald Ford and Jimmy Carter took place at the time after World War II when Americans were most likely to live, work, or worship with people who supported a different political party. Just over 26 percent of the nation's voters lived in landslide counties. Then the country began segregating. In 1992, 37.7 percent of American voters lived in landslide counties. By 2000, that number had risen to 45.3 percent. There was a difference between the elections prior to 1976 and those that came after. In the polarizing, and close, 1968 election between Richard Nixon and Hubert Humphrey, 37.2 percent of voters lived in landslide counties. The last five presidential elections have all had a higher percentage of voters living in landslide counties than in 1968. Beginning in 1992, the percentage of people living in landslide counties began an upward, stairstep progression. And by 2004, in one of the closest presidential contests in history, 48.3 percent of voters lived in communities where the election wasn't close at all. To get a sense of the magnitude of this segregation by political party, we asked John Logan, then at the State University of New York at Albany, to measure the segregation of blacks and whites from 1980 to 2000 in all U.S. counties. In those twenty years, counties had become slightly less racially segregated. Using the same formula, however, from 1980 to 2000 the segregation of Republicans and Democrats increased by about 26 percent. The trend didn't appear to be connected to the seesawing fortunes of the national parties. The increasing political segregation of American communities continued on through the Reagan landslides, the Democratic turnaround in 1986, the Clinton resurgence, the Republican takeover of Congress in 1994 and the Bush wins in 2000 and 2004. Moreover, this trend — one that was particularly strong beginning in the 1990s — had escaped the attention of those who study and write about politics. The one political scientist who best understood the power of migration and the importance of community to politics was James Gimpel of the University of Maryland. Gimpel had written a book about the different migration paths followed by immigrants and U.S. citizens. Gimpel argued that migration was shaping communities and altering their politics. And in 2003, he wrote another book showing states to be "patchworks" of quite different and sometimes quite homogeneous communities. Gimpel's work gave us confidence that migration could be shaping the complexion of a community's politics. What nobody had seen, however, was that most of America and most Americans were engaged in a thirty-year movement toward more homogeneous ways of living — that the polarization so apparent in the way political leaders talked was reflected in the way Americans lived. Bob Cushing and I published these initial findings in a series of newspaper articles in the summer and fall of 2004. In the months after the 2004 election, we reconsidered what we had written for the paper. We knew that the pattern was clear. But was it meaningful? Did it matter that our communities were becoming more politically homogeneous? The country was polarized during the Civil War, but compared to those times, our own circumstances didn't appear dire. Furthermore, assuming that these demographic shifts did matter, why would they be happening now? The last question was particularly perplexing. Certainly, in earlier years, the bonds of class, ethnicity, religion, and occupation, or the barriers of geography, had restricted movement and enforced a rough kind of segregation. But those previous periods of political polarization had come before the automobile, the interstate highway system, Social Security and other safety-net programs, commercial air transportation, widespread higher education, and laws enforcing racial equity. Americans now had unprecedented choice about where and how they wanted to live. They had incredible physical and economic mobility — but these freedoms seemed only to have increased segregation, not lessened it. Why? These were the questions that led us to begin work on this book. We knew, however, that before we could address these larger subjects, we had to go back and reconsider the limitations of our evidence and develop ways to cross--check our findings. We were tracking both migration and political preference, something that wasn't commonly done. We knew that people moved and places changed, but we couldn't be certain that those who moved were the ones who had created the difference. So we launched another round of research. We gathered more data and delved into social theory, political history, and social psychology. We unearthed a significant amount of evidence that people's religious faith and politics helped explain where they lived. For example, we discovered that people who left counties with large numbers of Evangelicals rarely moved to counties dominated by Democrats. People who left counties with a high proportion of Evangelicals largely moved to counties of like faith. Similarly, we found that when people moved from Republican counties, they were very likely to settle in other Republican counties. We happened upon this relationship again and again. There were patterns of migration, and they were linked to culture, faith, and politics. The more we looked, the more it became clear that migration itself wasn't driving the country's political segregation. We were seeing something more basic — a cultural shift powered by prosperity and economic security. Freed from want and worry, people were reordering their lives around their values, their tastes, and their beliefs. They were clustering in communities of like-mindedness, and not just geographically. Churches grew more politically homogeneous during this time, and so did civic clubs, volunteer organizations, and, dramatically, political parties. People weren't simply moving. The whole society was changing. Prosperity had altered what people wanted out of life and what they expected from their government, their churches, and their neighborhoods. The Big Sort was big because it constituted a social and economic reordering around values, ways of life, and communities of interest. That's why when we looked back over the thirty-year period when communities had become increasingly Democratic or Republican, we found an uncanny confluence of events. The political segregation of communities from the mid-1970s through the 2004 election coincided with a number of other social and economic transformations. Political leaders were growing more extreme during this period, as Democrats and Republicans in Congress became more ideological, less moderate, and more partisan. Churches, clubs, and the economy were all going through a very similar kind of ideological reorganization. Also, after decades when prosperity had spread more evenly throughout the nation, the U.S. economy had begun to diverge into regions of winners and losers. The culture was changing at the top, among political and social elites, and at the bottom, among millions of Americans who were busy tailoring the ways they lived, worked, and worshiped. The polarization so apparent among political leaders was reprised and reinforced by the economy, the church, and civic institutions. And what we discovered was that all these features of contemporary life, this shift in the culture, was made manifest in the Big Sort — that is, in the nation's geography, in the places people were living. The Big Sort, then, is not simply about political partisanship, about how Americans vote every couple of years. It is a division in what they value, in how they worship, and in what they expect out of life. less and less meaning. Increasingly, they see the United States sorting itself into communities of interest — enclaves defined more by similar beliefs or ways of life than by age, employment, or income. Chris Riley is a Portland, Oregon, marketing expert who has worked with Nike, Microsoft, and now Apple. At Nike and Apple, Riley said, marketing departments are giving up on traditional demographic designations because they don't fit the way people live. "I'm not allowed to use market research information, by dictate of [Apple founder] Steve Jobs," Riley told me. "They don't trust it." They don't trust it because simple demography doesn't get at the way people live today. "There is no [demographic] category for somebody who shapes his entire life around his concern for the environment," Riley explained. Marketing analyst J. Walker Smith described the same phenomenon as extreme and widespread "self-invention," a desire to shape and control our identities and surroundings. Technology, migration, and material abundance all allow people to "wrap themselves into cocoons entirely of their own making," Smith wrote. People are unwilling to live with trade-offs, he said. So they are "re-creating their environments to fit what they want in all kinds of ways, and one of the ways is they are finding communities that fit their values — where they don't have to live with neighbors or community groups that might force them to compromise their principles or their tastes." It would be a dull country, of course, if every place were like every other. It's a joy that I can go to the Elks lodge pool in Austin to see the H2Hos, a feminist synchronized swimming troupe accompanied by a punkish band, or that I can visit the Zapalac Arena outside my old hometown of Smithville, Texas, to watch a team calf roping. Those sorts of differences are not only vital for the nation's democratic health, but they also are essential for economic growth. Monocultures die. What's happened, however, is that ways of life now have a distinct politics and a distinct geography. Feminist synchronized swimmers belong to one political party and live over here, and calf ropers belong to another party and live over there. As people seek out the social settings they prefer — as they choose the group that makes them feel the most comfortable — the nation grows more politically segregated — and the benefit that ought to come with having a variety of opinions is lost to the righteousness that is the special entitlement of homogeneous groups. We all live with the results: balkanized communities whose inhabitants find other Americans to be culturally incomprehensible; a growing intolerance for political differences that has made national consensus impossible; and politics so polarized that Congress is stymied and elections are no longer just contests over policies, but bitter choices between ways of life. There are no easy-as-pie remedies for this dark side of the Big Sort. Time brings change, of course. Issues will arise that cut across political divisions. Providing health care for all Americans is one of those problems with solutions that don't fit within the ideological fields fenced off by either party. A particular politician may be able to bring the country together for a time. But the Big Sort isn't primarily a political phenomenon. It is the way Americans have chosen to live, an unconscious decision to cluster in communities of like-mindedness. Maybe another generation will construct communities that look very different from these. Indeed, a generational shift is already taking place. But this fractured, discordant country is my generation's creation, so it is first ours to understand and then, perhaps, to change. Excerpted from The Big Sort by Bill Bishop. Copyright © 2008 by Bill Bishop. With permission of Houghton Mifflin Harcourt Publishing Company. All rights reserved.